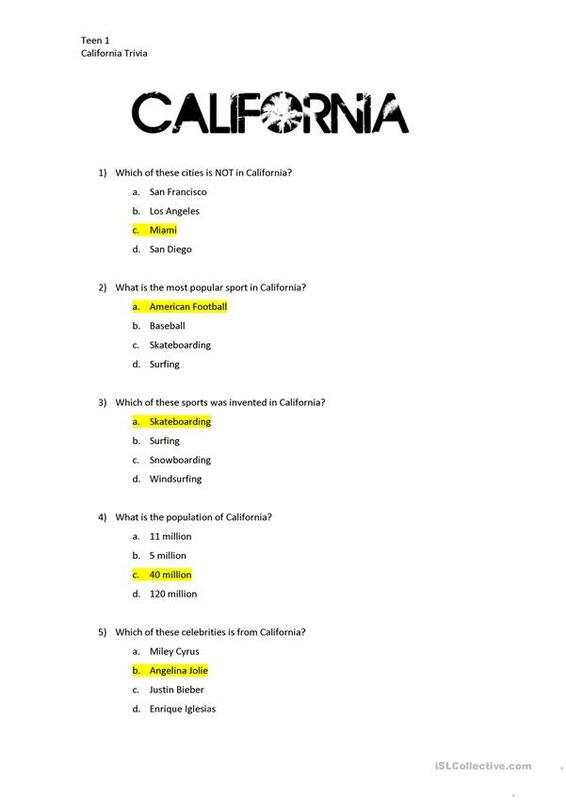 This is a quick California Trivia worksheet to be done in pairs. I'm going to use it with teenagers but it would work for adults too. I have then do it in pairs/teams of 3 and then the team that gets the most right is the winner. This printable, downloadable handout is meant for high school students and adults at Elementary (A1) and Pre-intermediate (A2) level. It can be used for strengthening your class' Reading skills. You will find the key at the end of the worksheet.